Happy Saturday Everyone. This week I am really excited to introduce you to a blogger from France. Ohhhhhh I love when we all get to meet our international bloggers up close and personal. So enjoy getting to know Magali from Brittany France. You are going to love getting to know her. Then hop over and visit her cute blog and see all the great reno's she is doing to her fabulous 100 year old seaside cottage. I'm Cottage. 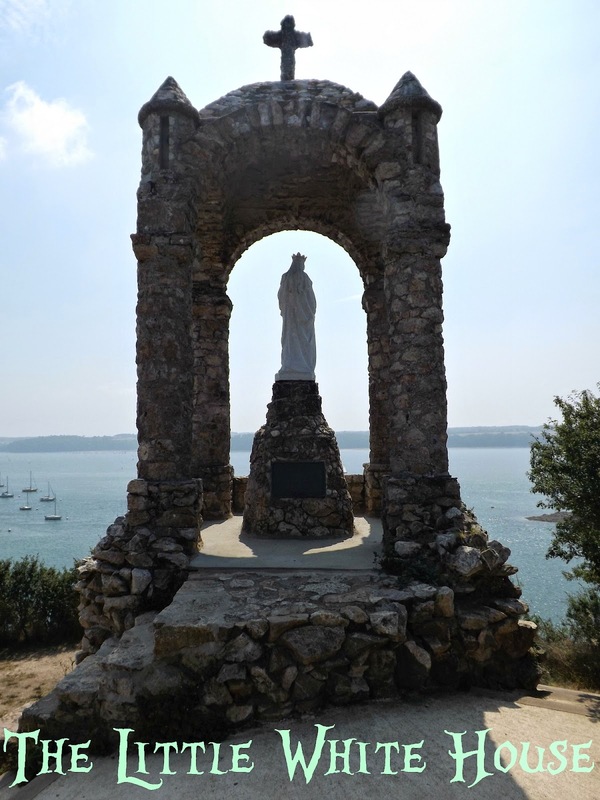 I'm located on the North Coast of Brittany, France and I'm about a hundred years old. Several families have lived under my roof since I was built. A few years ago, my owners decided to put me on the market: they wanted a house that would be bigger, more modern... I was very worried: who would want to love me? Dining-room as left by previous owners. Then on the first Monday after Easter came a Petite Blonde to visit me... She had a hard time trying not to laugh at my owners when she saw the garish colours they chose for my walls - there wasn't two walls the same colour - the very weird choice they had made for each very small room... And she kept asking questions like "is the chimney flue still in the wall?" or "are the beams still under that drywall ceiling?". My owners rolled their eyes and didn't know what to answer... And I had no idea why those questions were of any importance. Bedroom as left by previous owners. It turned out Petite Blonde - aka as Magali, aka as the blogger behind The Little White House On The Seaside blog - bought me. Little did I know when she arrived with her cat and her books that we were embarking on a several year journey to reveal my inner Cottage charm. But overall, it's been an amazing experience where Petite Blonde and I have learnt to know each others. You see she's a modern girl and I'm an old Cottage, so when we have choices to make, renovation and decoration wise, it sometimes takes long discussions, transcripted on the blog, and we each have to compromise. Petite Blonde shows you the details of all the transformation I'm going through. 2014 was a big year and my kitchen went from ugly and impractical to charming and efficient. Truth be told, Petite Blonde lives on a teacher's salary and everything that adorns me is thrifted: she might inspire you with her very cheap finds. Also because of that teacher's salary, she tries to do as many things as possible on her own: she'll explain how to make me (or your own home) prettier on a budget and with very limited DIY skills. Don't tell her I said so but she's the clumsiest Petite Blonde ever. She loves when I'm filled with wonderful baking or cooking smells and she shares her always easy recipes. I'm located in a beautiful area and Petite Blonde will also take you places around : she's the best at finding funny historical stories about the towns she visits. You'll get an idea by clicking here. 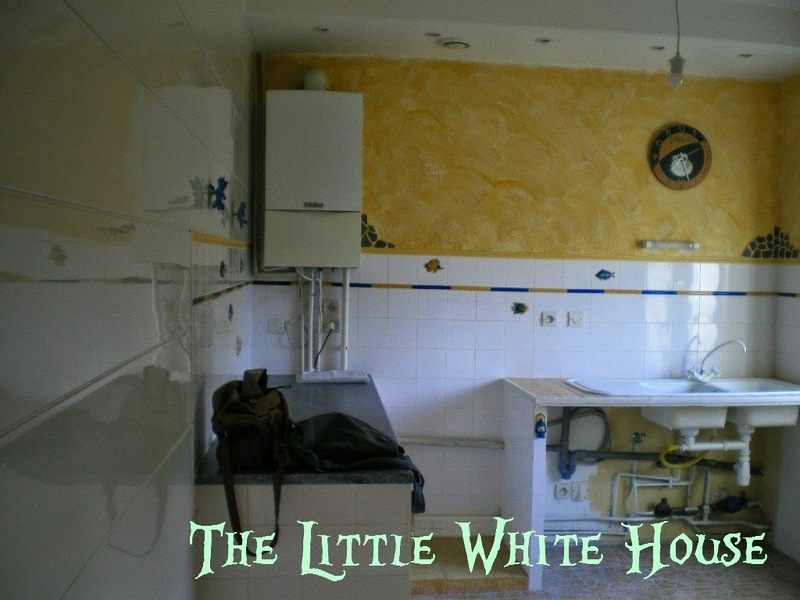 If you'd like to see more of me, please visit The Little White House On The Seaside. Thank you Magali for sharing yourself with all of us. Love that you had your sweet cottage speak about you too :). It was so great to get to know you and to dream of where you live. 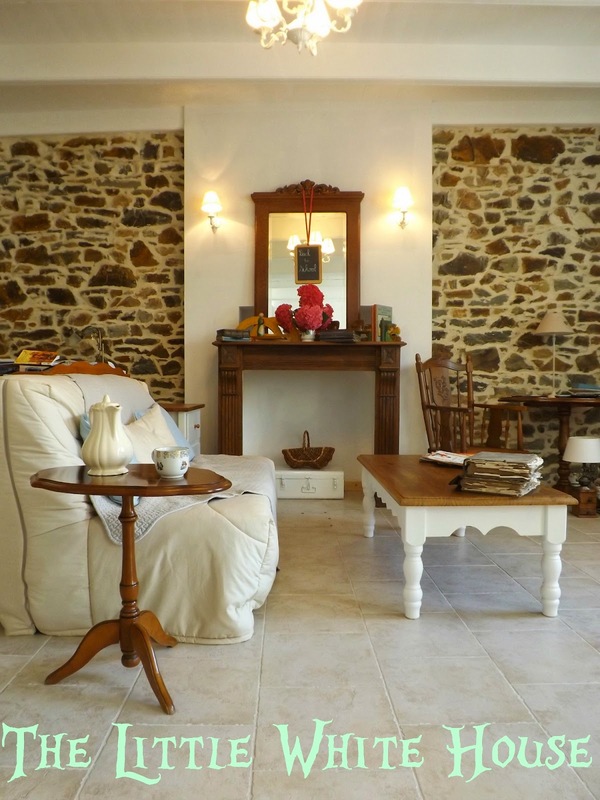 Oh la la to live in France and in a 100 year old seaside cottage. Heaven I say! Magali, I love the way you wrote this. 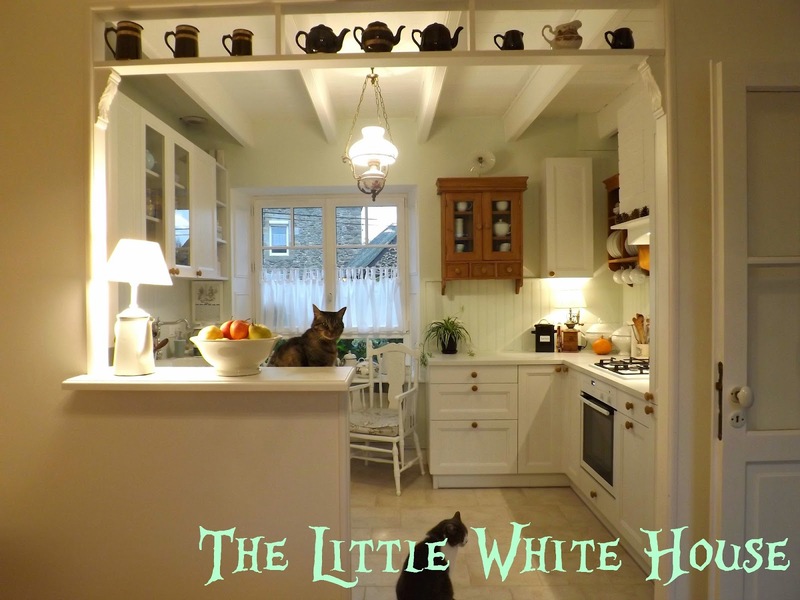 That is another really pretty photo of your kitchen, and I love how the kitties were in it! Thanks so much for featuring my friend, Magali!! Magali, Congrats to you on the feature!! I so love your Kitchen!! I loved every word of this post! 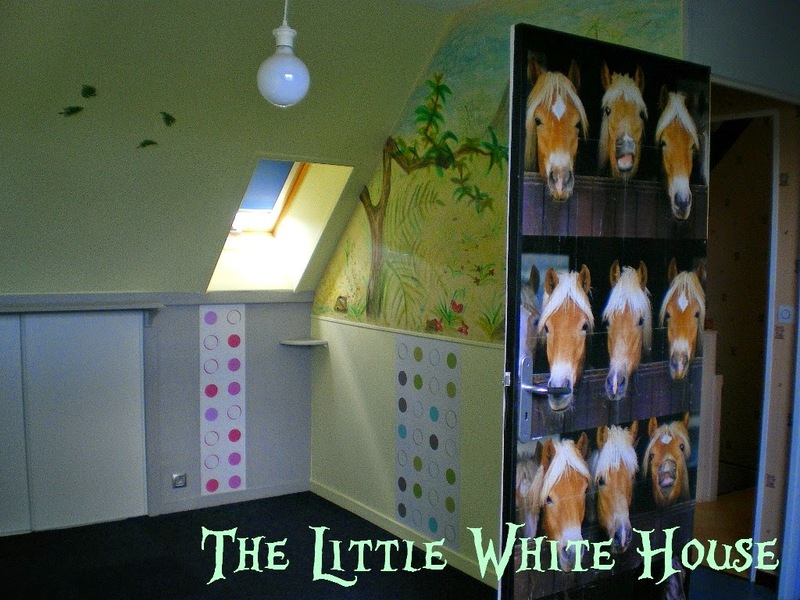 I'm on my way to soak in all of The Little White Cottage's posts!! Thanks for sharing a great blog with us. Oh adorable! I must go check her out. Oh yes, I follow this blog, and I love Cottage! Magali's cottage is gorgeous! Thank you for featuring her today, Kris. I'm on my way over for a little visit. WHat a great blogger and a great post! Who doesn't dream of a cottage in France?? That kitchen makeover is just amazing! 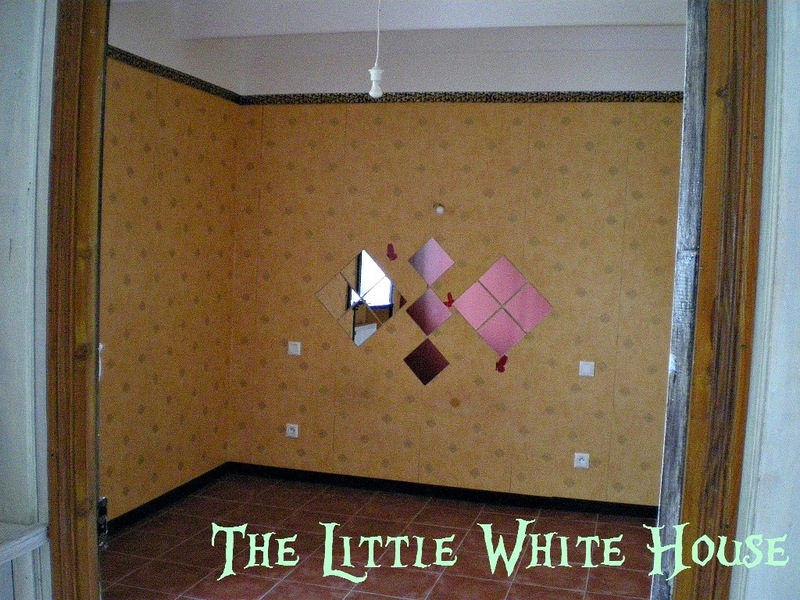 Magali, I love your little cottage -- you've done a beautiful job of redecorating those awful rooms ! I adore the kitties in your photos and hope you keep showing us their pretty faces. I want to go to your blog and become a subscriber. Kris, thank you for bringing Magali to our attention....I probably never would have discovered her if not for your post. What a sweet cottage and the transformation is amazing! Kris, what a great feature! How charming! Headed over to visit! Oh my Magali is a blogger after my own heart. Thank you so much Kris for introducing her to us! Now I'm heading over to The Little White House for a good visit. Magali and "Cottage" are my favorites and I loved reading about the blog from Cottage's point of view. Now I have to go over to tell Magali how much I enjoyed the post. Don't you love how she transformed the kitchen! Oh, I could make it a Cottage too! Such character. Thanks for the post. So sweet! It's all so lovely and well presented, I'm a new reader there, thanks to your introduction, Kris. I follow Magali and just find her home so charming. It's so cool to visit with someone in France and to see their way of life and follow along on the renovations she is making. Magali has transformed that cottage. I'm in love with the stone walls! 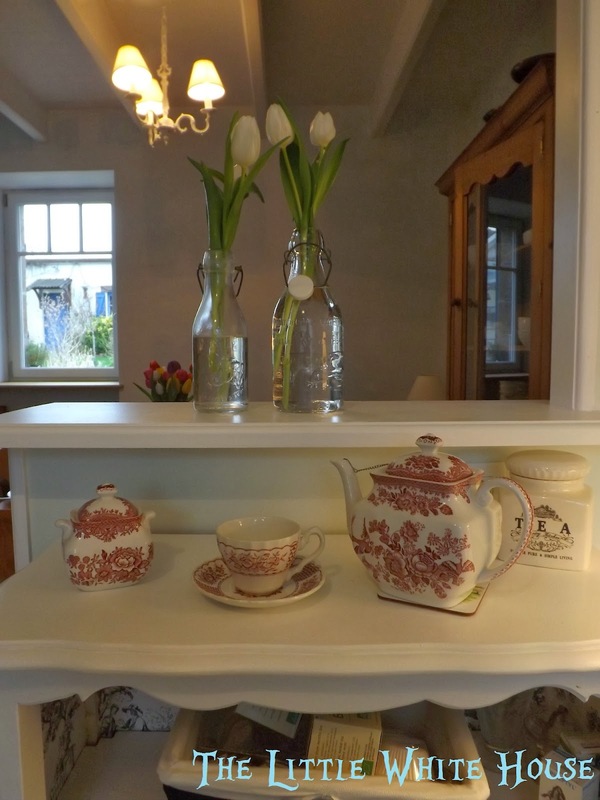 I love Magali's blog and cottage. What a wonderful post. Loved this post, already a big fan of Magali and cottage! Thank you so much, Kris, for featuring me. A huge thank you to all your readers who took the time to write a sweet note here or on my blog. All these comments have warmed my heart on this unusually cold night in Brittany. Ohhh...wonderful cottage and fantastic place. Thanks for sharing this romantic blogger. Cottage and Magali are such a great team, and I can't wait for more of their posts on the restoration of their beautiful home. The amazing transformation in the kitchen makes me a tad jealous, but having seen it from the early days I know the work Magali has put into it. Nice introduction to a blogger in Brittany, France, who I wasn't aware of, as you always introduce us to someone very interesting. Oh Brittany, France ... Oyster heaven and a Sea food lovers dream! Magali's writing was a sweet twist and I will enjoy checking out her blog. I've been following Magali for ages; she's a sweetheart and her cottage is perfection! Oh Kris, I am so glad that you featured Cottage and Magali. They are so delightful and I love reading all about her adventures with Cottage. I have been following her since I started blogging. I love that you wrote this from the point of view of Cottage. How cute! Great choice to feature Magali Kris. I smiled all the way through this post! Oh, Kris! You could not have found a better person (or cottage!) to feature. Magali is amazing and I love her blog. Thank you and her for this fun read! Good morning Kris, et BONJOUR, MAGALI! Kris, thank you for featuring Magali and her talking cottage! I love how the cottage spoke to us, especially when she asked, "Who would love me?" Magali's courage to invest in a labor of love proves that it takes vision and hard work to accomplish most anything. 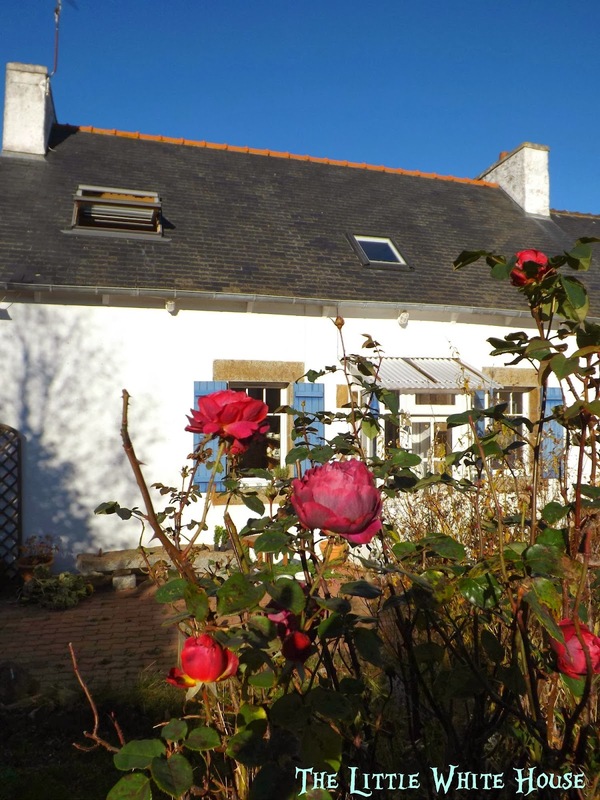 This little home on the shores of Brittany is true blue....French blue! I have been reading this blog for some time and I must say Cottage is really smart!AriadnefromGreece! Oh my! Am I jealous, or what? What a treat! Here kitchen is adorable, love her blog! J'aime le blog de Magali, j'aime son chemin de croix pour arriver à être bien dans son cottage, j'aime ses hésitations & ses décisions, j'aime ses discussions avec "Cottage, j'aime ses chats & par dessus tout, j'aime sa maladresse dont elle se moque avec beaucoup d'humour. 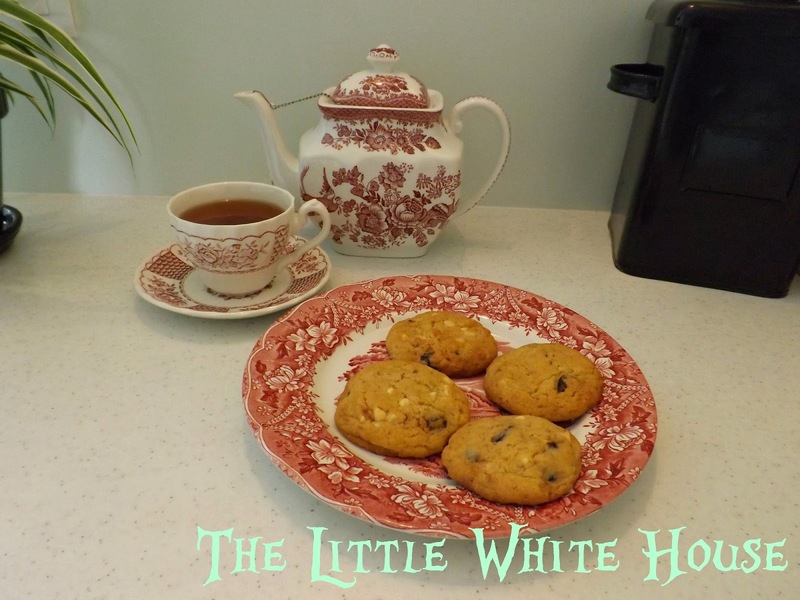 I am new to Magali's blog but, i love reading her posts and hearing about her cottage. precious telling of "cottage's" story!!!! I love Magali! She is sweet and funny and her cottage journey is a real treat. Loved hearing her, I mean, "Cottage's" story! I am a huge fan of Cottage and the decisions it helps Magali make. Thanks for having Cottage over to show off. I"m fairly new to Magali"s blog but so far sooo good!!! I just LOVE the way she wrote this blog/story soo creative !!! Thanks for inviting her and her adorable "cottage". Love Sandee from Fairfax Va. I've been reading Magali's blog for a long time now, and I love it! The way she handled this post is so true to her style, which is why I always enjoy reading all of her posts!